After their humiliating exit from the UEFA Champions League at the hands of a youthful Ajax side, it is time for Real Madrid to reflect and plan for the future. In one of the worst seasons of their history, Vinicius Junior's emergence has been one of the few silver linings. Despite his relative inexperience, the 18-year-old Brazilian remain unfazed by the challenges he had to face since his arrival from Brazil to becoming the brightest player of his club. He showed the world the importance of audacity and fearlessness. It is safe to say that he is going to be one of the pillars of Real Madrid for years to come. However, the same cannot be said for his teammates as they are on the verge of a summer clearout. Stars like Bale, Benzema, Isco, Modric, Marcelo are expected to leave in the summer as there would be a reshuffling of the squad. 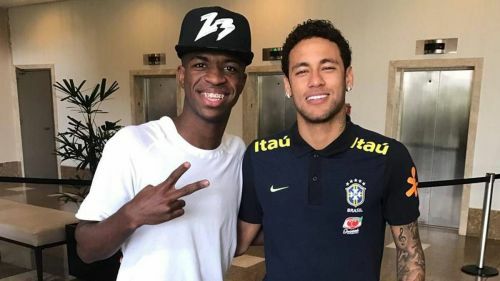 It is because Real Madrid could be planning for an all Samba attack, combining Neymar with Vinicius and Rodrygo Goes, who is due in Madrid this summer. The latter was bought from Santos for €45 million at the start of the last season. Like Vinicius, he has taken Brazil by storm, scoring 12 goals and providing 4 assists in his debut season. Primarily a left winger, he has scored a hattrick earlier this season when deployed as a centre forward. Many believe Rodrygo to be even better than Vinicius. It speaks volumes of a players' maturity when he makes 58 appearances in the first season of his professional career. Neymar has been a role model for both youngsters. Both Vinicius and Rodrygo would love to play alongside him. Their versatility means all the three are compatible with each other and can play anywhere in the attack. Also, as they would be international teammates, their combination with each other will develop certainly. Learning and playing alongside Neymar would improve their game too. Real Madrid are ready to exploit this as they believe that bringing the three together would be the best move for everybody. 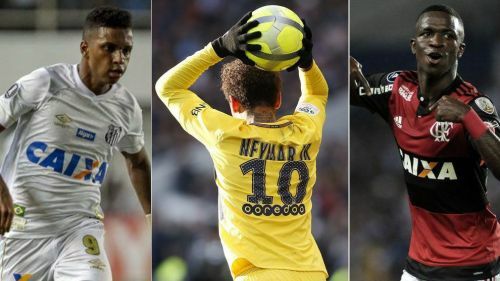 Just imagine the sight of Vinicius and Rodrygo wreaking havoc on the flanks with Neymar spearheading the attack. It would be an attack capable of rivaling the best in Europe. A complete nightmare for opposing defences. If Real Madrid is able to bring the three together, then it could bad news for the rest of Europe.